At the turn of the 20th century, communications were changing dramatically. Telegraph wires linking cities stretched the length of roads. Distance and bodies of water considerably hindered connections. Laurier, the pioneer, watched the advances made in Europe. On March 17, 1902, he signed an agreement with Guglielmo Marconi, a physician, Italian businessmen and the inventor of a wireless communication system that used Morse code. The agreement foresaw the construction of transatlantic communications facilities and the construction of tools for communication between lighthouses, coastal stations and ships sailing the St. Lawrence River. By working with Marconi, Laurier ensured the rapid development of communications on the river and in the Gulf of St. Laurence, in addition to setting the framework for communications with Europe in years to come. 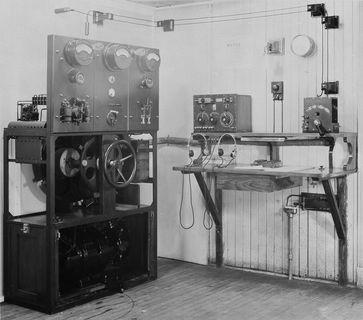 Two years later, Laurier’s government went further and signed a contract with the Marconi Wireless Telegraph Company of Canada to build and operate a network of marine radiotelegraphy stations known today as “marine band radios”. Canada was at the forefront with this first new network and spearheaded wireless radio transmission in the world. This communication system grew at an amazing speed in the following years. In 1904, there were but six stations along the St. Lawrence. In 1915, there were no less than 21. Likewise, in 1904-1905, only four ships were equipped with wireless telegraphy: the Stanley, the Canada, the Minto and the Lady Laurier. 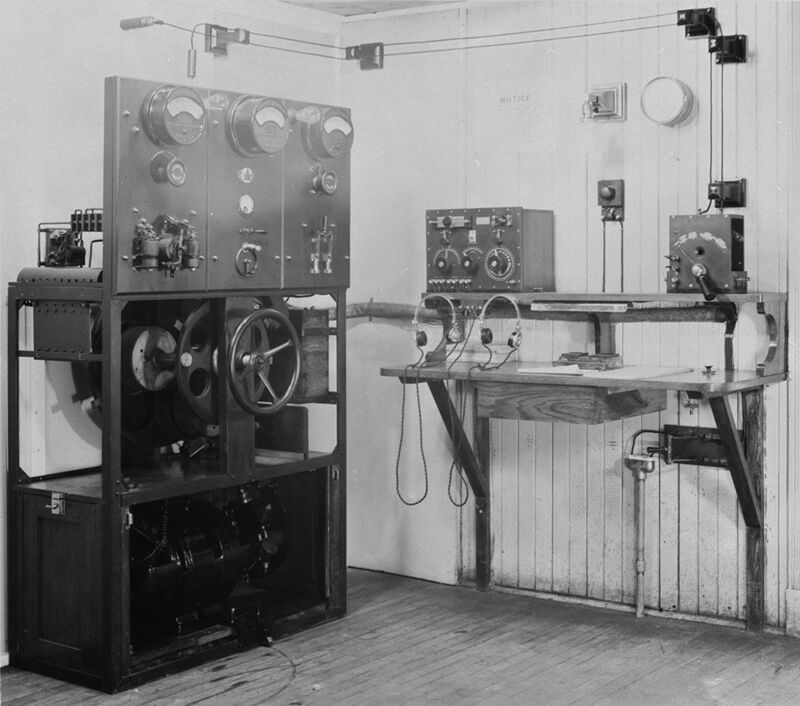 In 1913, close to 90 ships were able to communicate thanks to Marconi’s invention. As anecdotal evidence, two Marconi operators sent an SOS signal during the night of April 14 to 15, 1912, at the time of the sinking of the Titanic. No less than 800 people were saved that night when a ship responded to the call. This technological advance was a major breakthrough for navigation, and more specifically so for navigation on the St. Lawrence River. The equipment provided a better means of communication than the lighthouses and greater safety on the river. The system continues to be used today for maritime surveillance along the St. Lawrence. Wilfrid Laurier had quickly understood that this invention would change communications during the era. He was right to invest in this new technology.